Etymotic takes its headphone manufacturing to the next level with its new product, the new hf2 hands-free headset. The company, renowned for making great-quality earphones has packed its audio technology into the hf2, managing not only to make a decent pair of noise-cancelling headphones but a hands-free headset as well. The way the hf2 has been made, means that the microphone is well-placed, sitting flush on your cheek next to your mouth, so there's no need to fiddle with the lead when making or taking calls. The hf2 is touted as a replacement for your iPhone headphones, but with they are compatible with most devices that include 3.5mm-4-contact stereo plug. Speaking about the new headset, Michael Shaverm director of sales of Etymotic research said: "The hf2 headset lets users to talk and listen – to conversations as well as music – with greater accuracy, detail and noise isolation than previously possible with any iPhone headset." 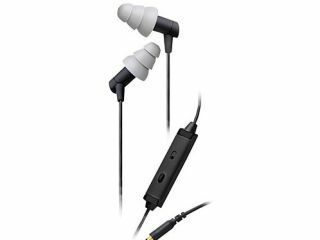 Included in the box are: High-fidelity, hands-free, noise-isolating headset plus earphones with 4ft cable; assorted eartips; filter tool with two replacement filters and a pouch. The hf2 headset is available online now for £99 from various outlets including the Apple Store.